Deciding to continue Leelaâ€™s education with a visit to the opening of the new Renaissance Gallery at the Morovanian Museum on Morovania Minor, the Doctor is perturbed when instead the TARDIS deposits them both at Reginald Harcourtâ€™s manor house in the English countryside. As the travellers are shown around Harcourtâ€™s impressive collection it becomes clear that things are not what they seem and it is up to the Doctor to fill in the blanks in more ways than one. 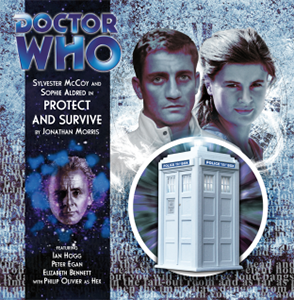 After the launch of the long-awaited Fourth Doctor Adventures range with Destination: Nerva – a traditional Doctor Who tale straight out of the 1977 era in which it was set – Big Finish now present a story that plays to the strengths of the medium of audio itself. 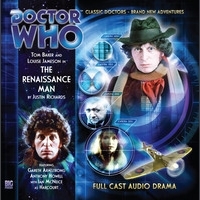 As such, The Renaissance Man feels like a quintessential Big Finish production with the distinct voices of the small cast used and reused to good effect in a way that makes perfect sense within the logic of the plot. The story is a witty and clever one, exploring the differences between knowledge and intelligence; illustrating how all the learning in the universe can mean nothing without the correct context. 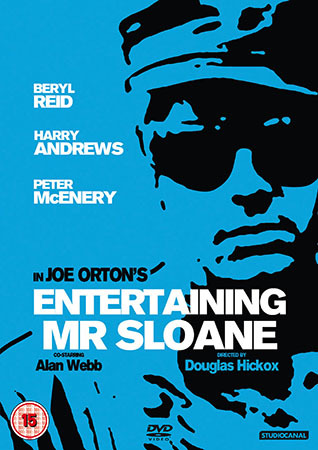 The bizarrely changing environment in which the Doctor and Leela find themselves is somewhat reminiscent of Flann Oâ€™Brienâ€™s The Third Policeman in places and is well realised through dialogue and sound design alone, the script never having to resort to This Gun In My Right Hand Is Loaded tactics. Richards captures the personalities and verbal quirks of the TARDIS team well. That said, like his successors before him (!) Tom Baker seems to be developing a distinct persona for his audio Doctor. One that, whilst still absolutely the same man we watched on TV, here displays a more avuncular facet of his personality. This time around Louise Jameson gets to explore the humorous side of Leelaâ€™s persona, stumbling over words and misunderstanding situations to comic effect.